I'm definitely a collector. Some might say hoarder. 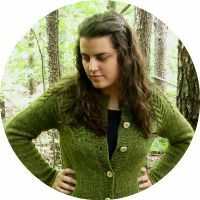 :) For a while now, I've been wanting to do a series of posts about several of my collections, and I'm finally getting around to it! I don't know how often I'll do one of these posts...maybe once or twice a month. I love listening to records, and I've been collecting them ever since I fell in love with old music. 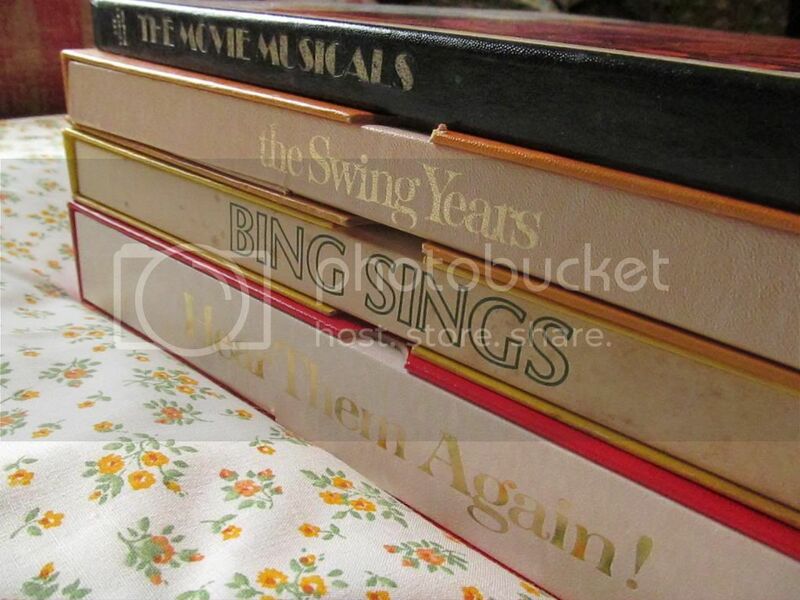 Most of my albums came from thrift stores and yard sales, and they generally cost about $2 or less. 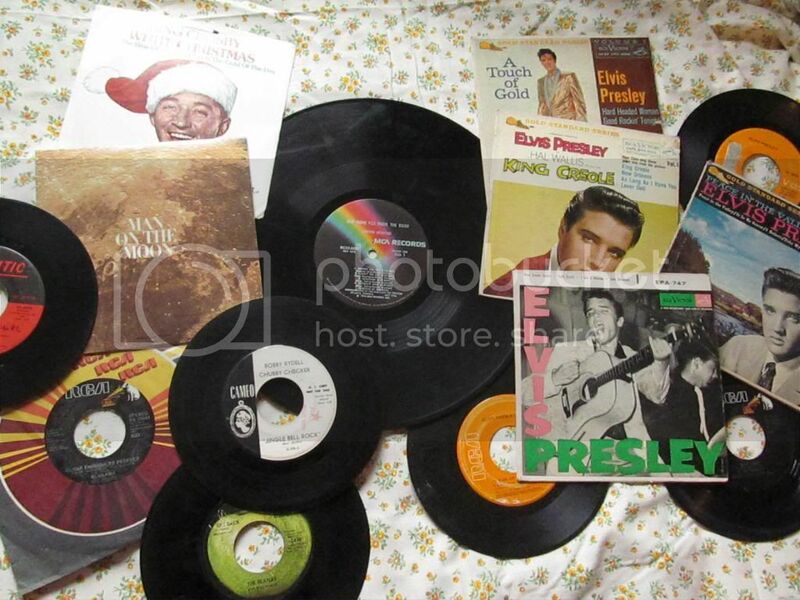 Several of them were given to me (when people find out that you collect records, it's a perfect chance for them to get rid of their unwanted ones!). I don't really have tons of space for my records, so every so often I go through them and weed out the ones I don't listen to anymore. In case you're wondering, this is the record player I have. My parents bought it for me for my birthday years ago, and I've been happy with it! It's pretty, and though it's not the absolute best quality (the knobs are a little loose and wobbly, and with anything other than a CD, you have to turn the volume up at least halfway to get a decent volume), I've never had any trouble with it. And I love that I can hook my iPod up to it...that's how I listen to music most often. (But don't pay $120 for it. Target puts it on sale for $80 sometimes.) I also have one of those big Wurlitzer stereos from the 60s that was given to me by a neighbor (you can see it here). First of all, I have my new records. I love it when modern artists make their new music available on vinyl! They are expensive, though (usually around $20), so I don't have many. 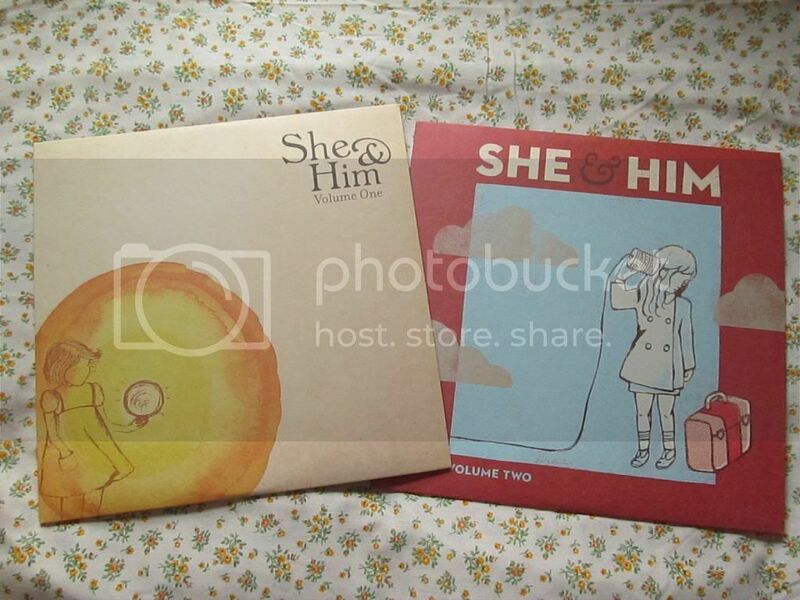 :) I love She & Him, and I found these two at a FYE store. They included codes for digital downloads, too, which is amazing because of course I wanted to put the music on my iPod, too. 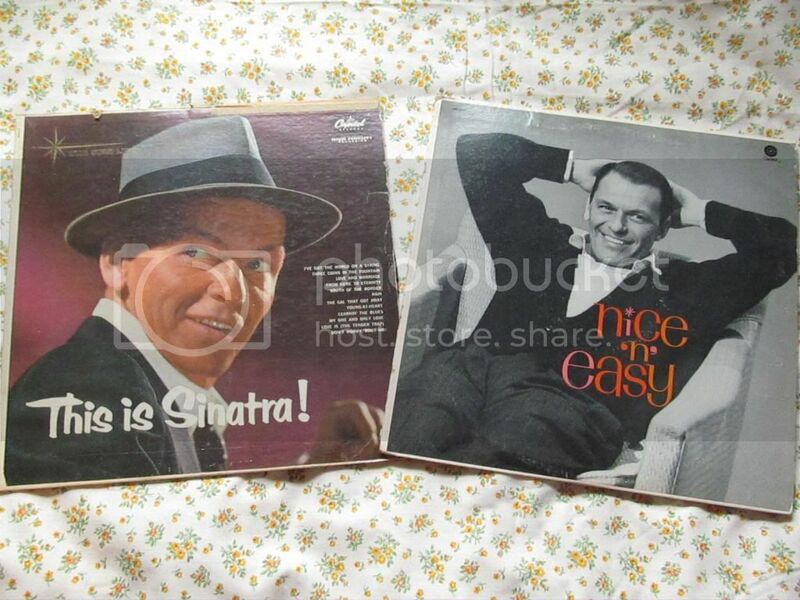 A couple more big band records. 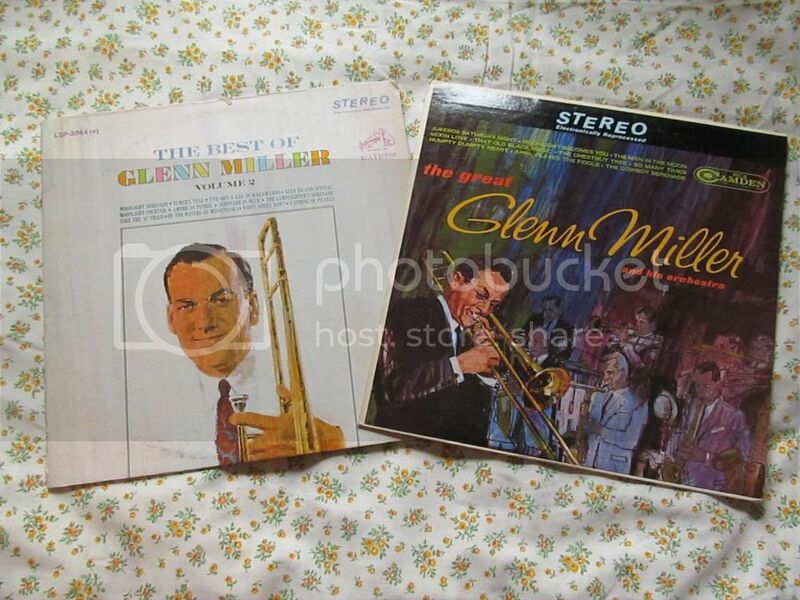 And my Glenn Miller albums! He is by far my favorite band leader. 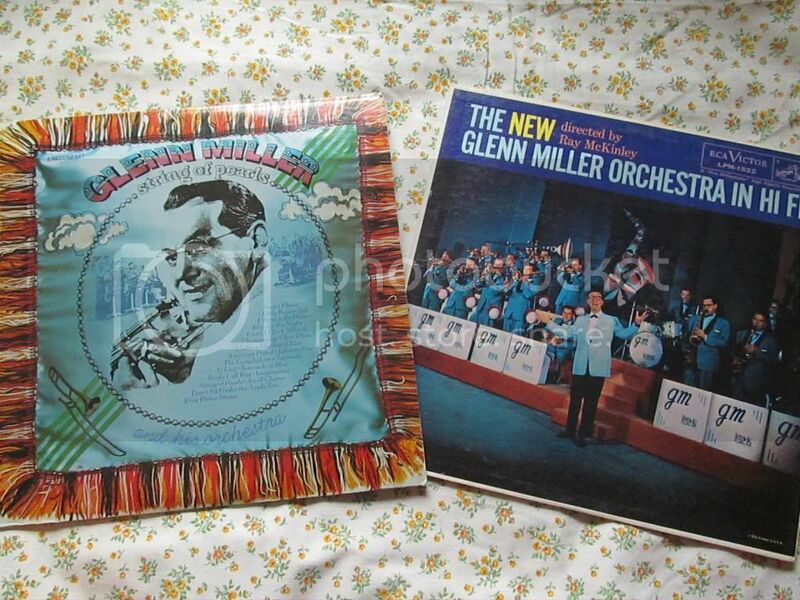 The one on the left, despite the atrocious cover, is a two album set and the best Glenn Miller record I own. It has so many of his hits! I expected to dislike the "New" Glenn Miller Orchestra, but honestly they did a great job of continuing with his classic sound. 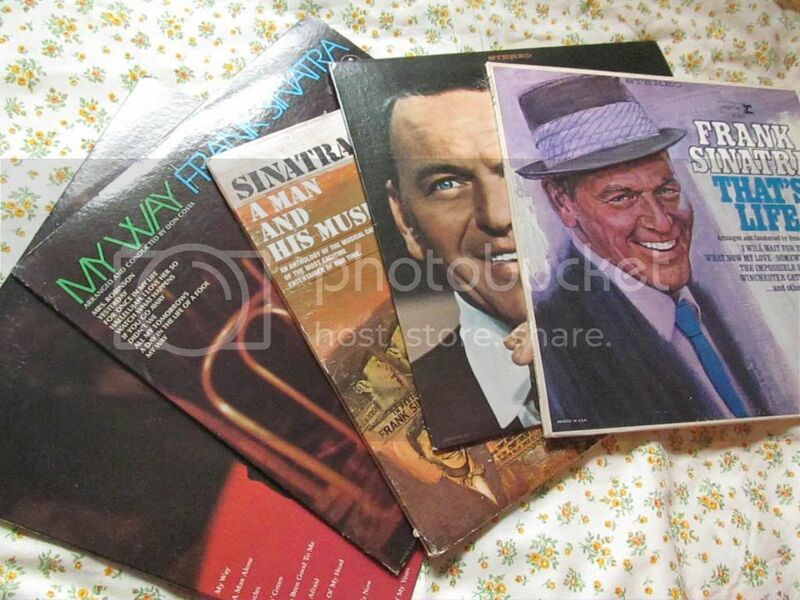 And my other Sinatra records that I don't listen to as much. Some hits of the 30s, and that one with the crazy cover. Because sometimes you just need some flapper music, you know? 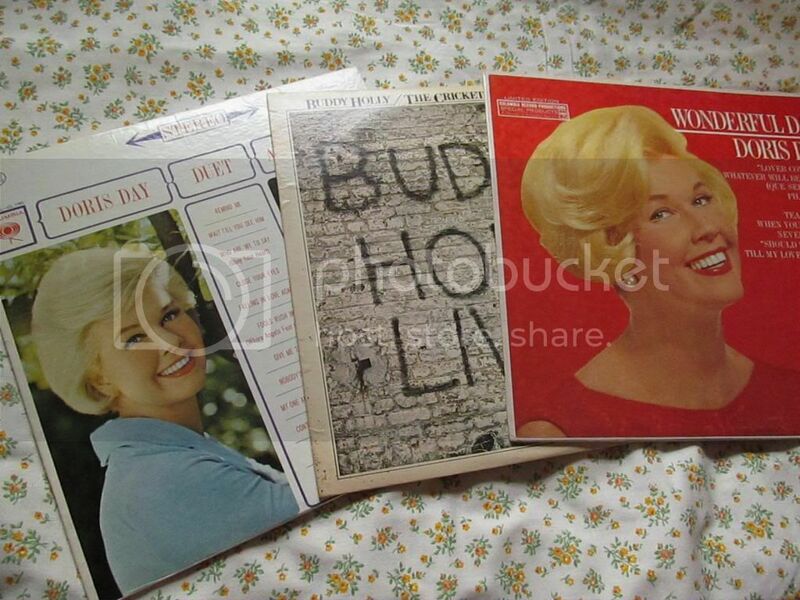 A bit of Doris Day, and a collection of Buddy Holly's hits. Because he was pretty awesome, and very underrated. 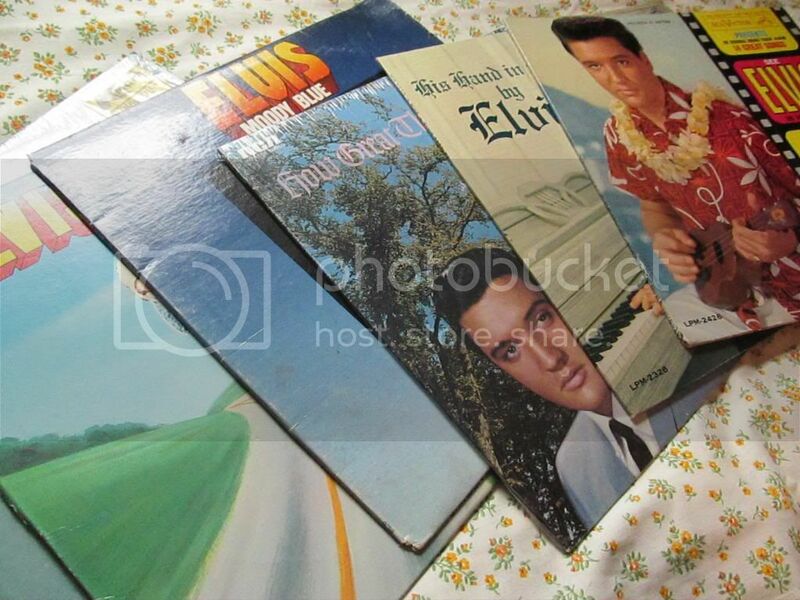 And now for my Elvis records. 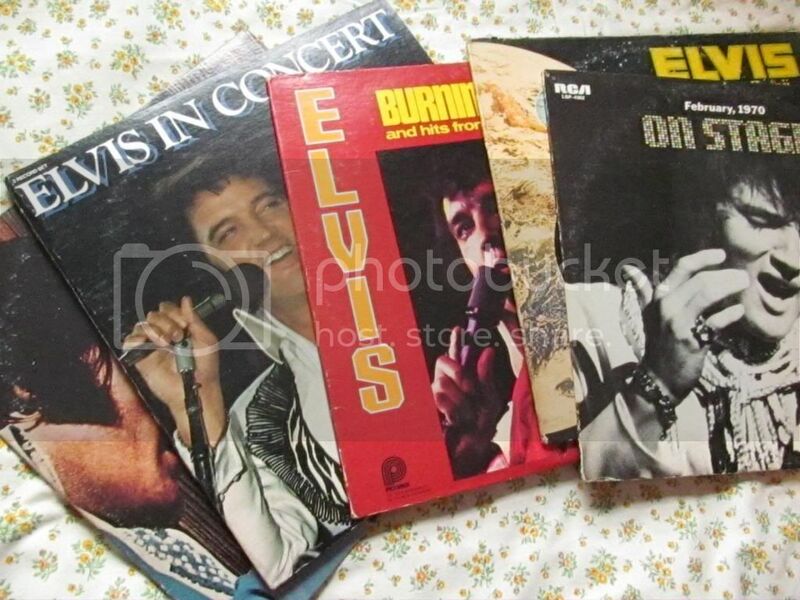 I started collecting Elvis records years before I bought any others. Because from the time I was about 9 until I was approx. 17, I was completely obsessed with Elvis. I knew every bit of trivia about him. My parents took me to Graceland. I had a life-sized cardboard stand-up of Elvis in his famous gold suit (honestly, I still have it...it's folded up in my closet :). 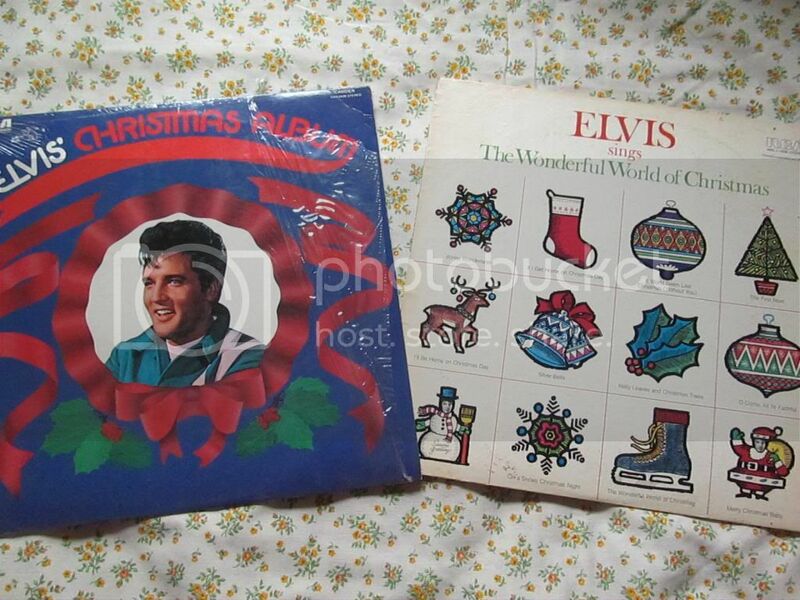 His face covered my walls, and I kept up a small Christmas tree year round to display my Elvis ornaments. Yes, it's true, you guys. I still love Elvis, but I'm not nearly as devoted as I once was. :) I still enjoy his music and think he was one of the most incredible entertainers ever. I keep meaning to watch through all of his movies, which should be fun despite the fact that he basically plays the same character in all 31 of them. 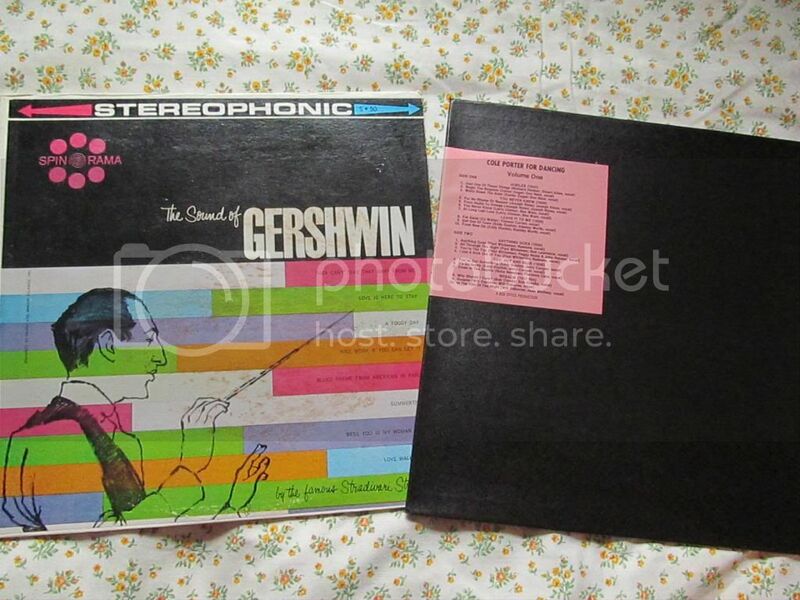 Gershwin instrumentals and...Cole Porter for Dancing. Because, you know, I do a lot of dancing. To Cole Porter songs. Obviously. :) My main professor in college actually gave me this one (along with some others that I ended up not keeping). Now we get into the soundtracks. How to Steal a Million is one of my favorite classic movies, and the soundtrack to it also happens to be one of my favorite records! It's deliciously 1960s-ish. 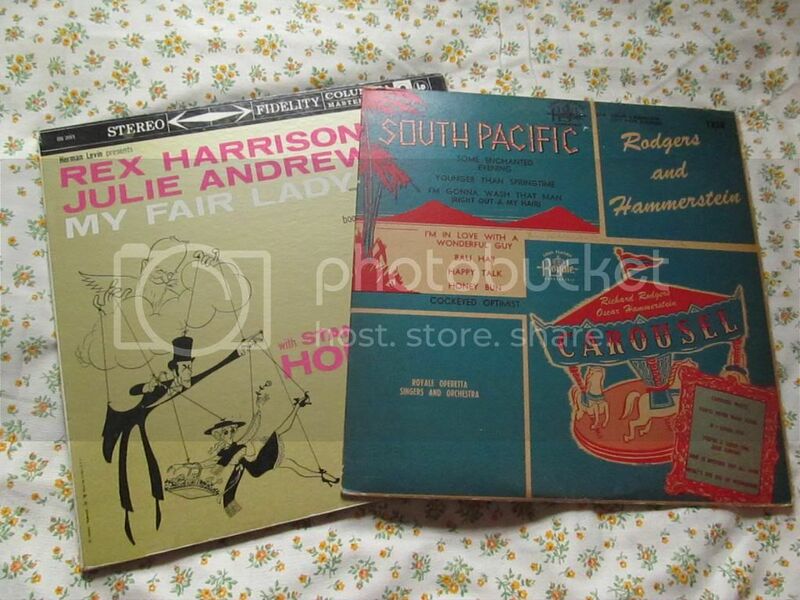 Then I have soundtracks for The Pajama Game (the Broadway version- not the Doris Day film) and Porgy and Bess. The Broadway version of My Fair Lady (because while I think Henry Higgins is a jerk, I do enjoy the songs) and songs from two Rodgers and Hammerstein musicals that I haven't actually seen yet: South Pacific and Carousel (this isn't the film version). 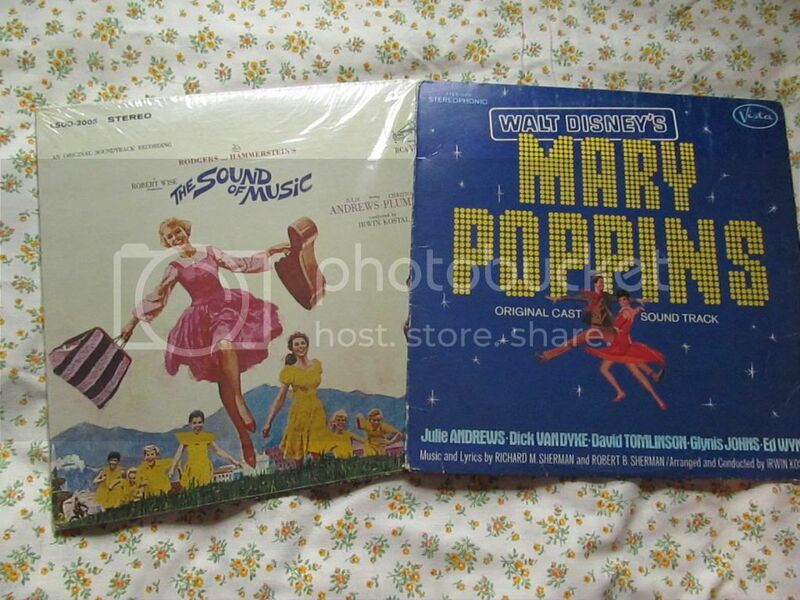 The Sound of Music and Mary Poppins, both film versions. I do love Disney. 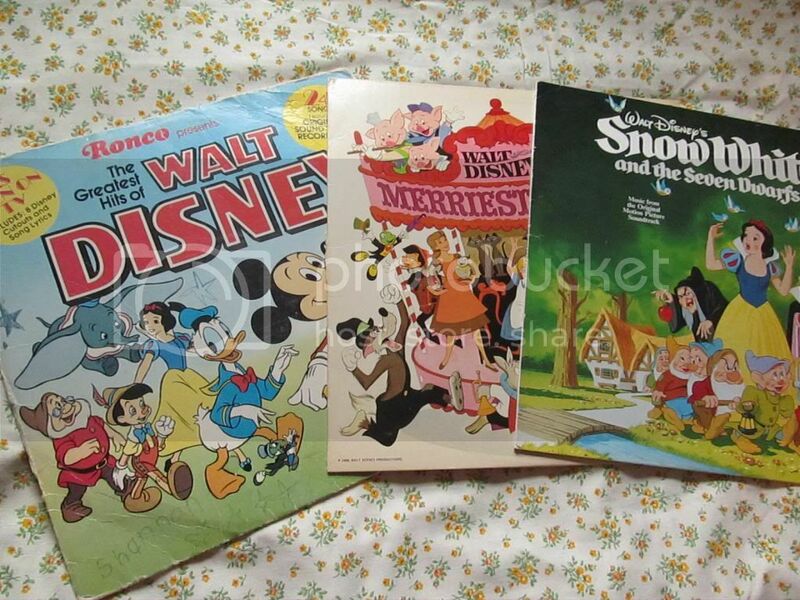 :) I have two "greatest hits" records with songs from classic Disney films, and the Snow White soundtrack. 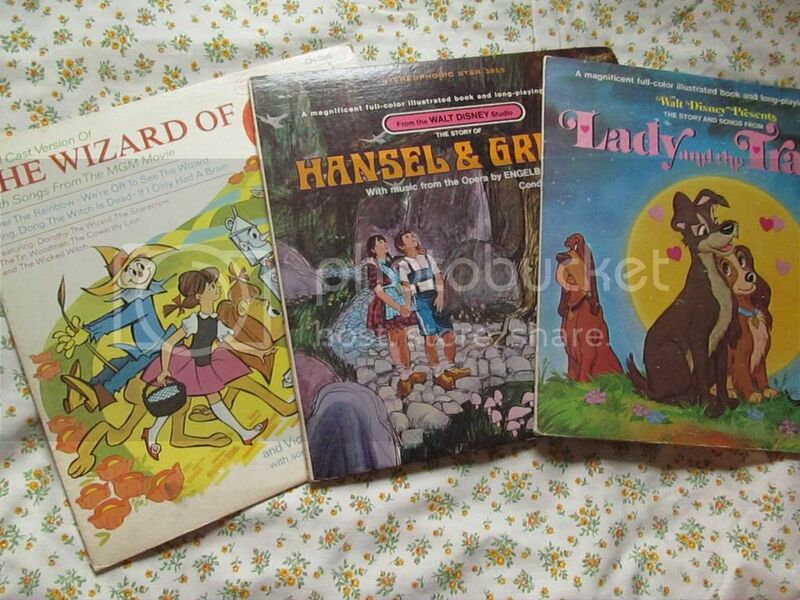 And a couple of kids' records. 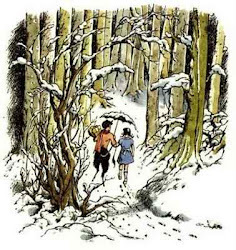 Lady and the Tramp and Hansel & Gretel have storybooks inside and play the story with music. The Wizard of Oz one includes songs from the movie, but they're not performed by the actors from the film. Some other random ones: Lynyrd Skynyrd (I think that was my dad's...it has the infamously long Free Bird on it :), some Elvis 45s, an ABBA one featuring Dancing Queen (that was my mom's), Man on the Moon (which is apparently some sort of recording celebrating the first man on the moon? It's narrated by Walter Cronkite...I haven't listened to it yet), something from the Beatles (I don't even like them, so I'm not sure where this one came from), and a couple of others. 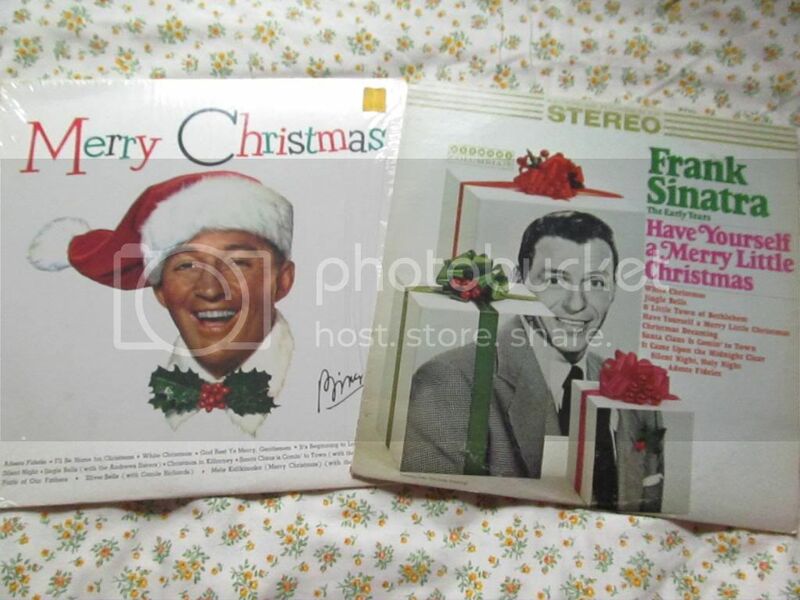 And finally, my Christmas albums. 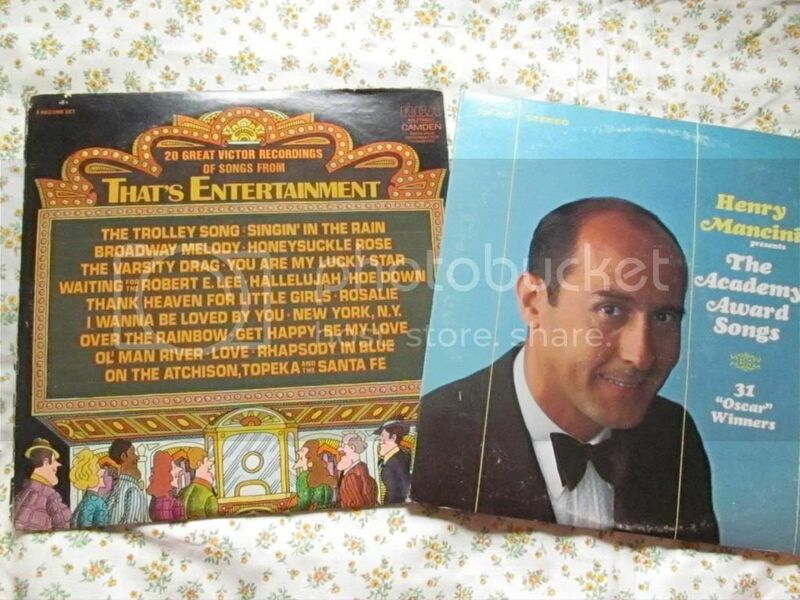 Perry Como, one featuring Julie Andrews, and one with various artists (including Nat King Cole, which is why I've held onto it. It's impossible to find any of his albums around here). 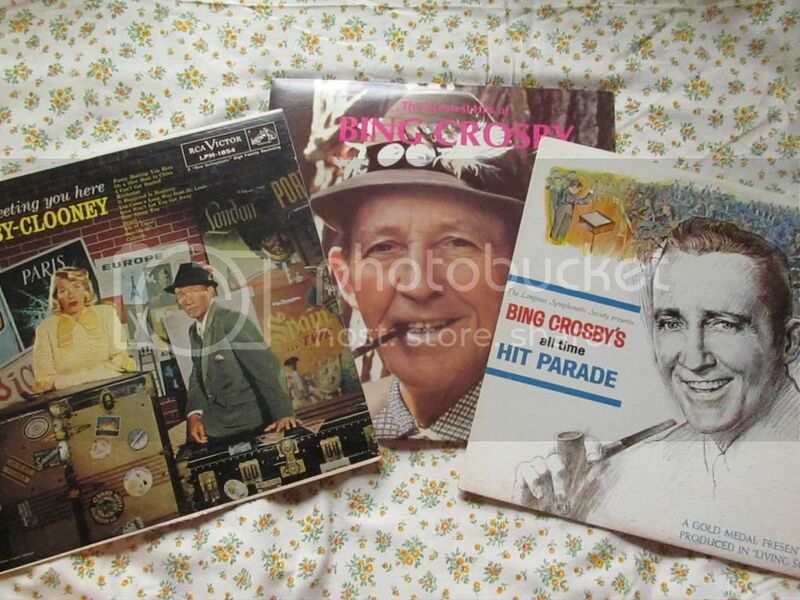 And more from Bing Crosby and Frank Sinatra. So that's my record collection! I got rid of quite a few albums last year, and I haven't bought any new ones in at least six months (the Goodwill where I used to buy them often doesn't really have any now). I'd like to fill in a few gaps eventually...some Nat King Cole, Rosemary Clooney, and Ella Fitzgerald would be nice...but right now I'm pretty happy with my collection! I haven't been buying much vinyl lately, I've been trying to save money for when I graduate college in a few months. I think the most recent vinyl purchase I made was the Boards of Canada reissues. 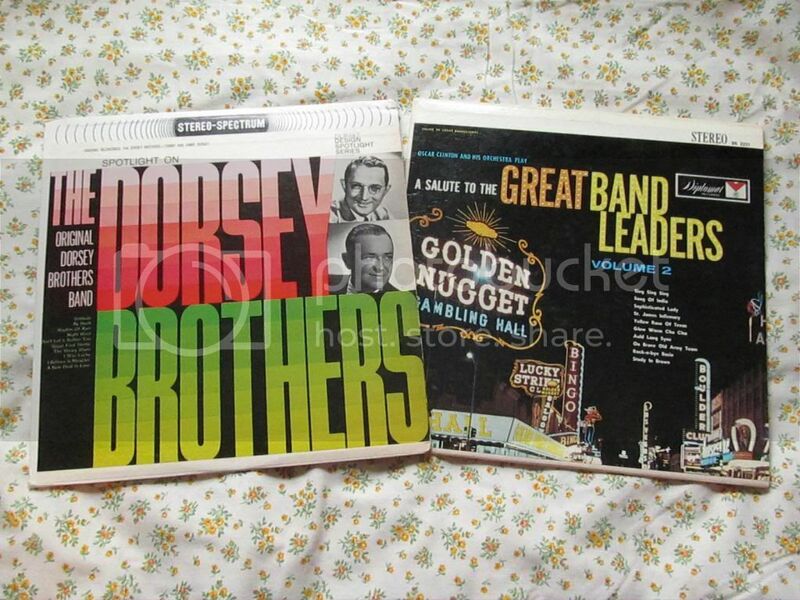 My prized possession is my collection of Stanley Brothers records. 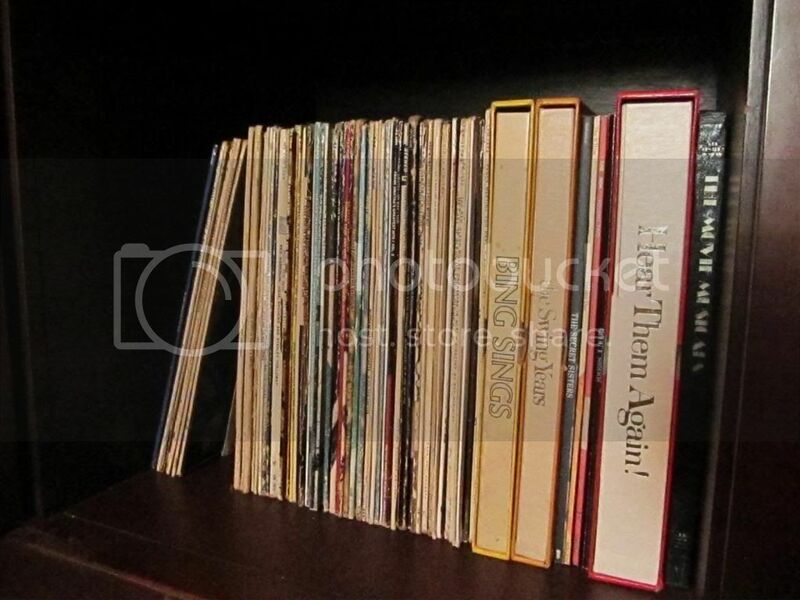 I don't think they're valuable from a collector's standpoint (I don't think anyone's all that interested in collecting them), but they are very hard to come by and are some of my all-time favorite music. Especially their gospel records. 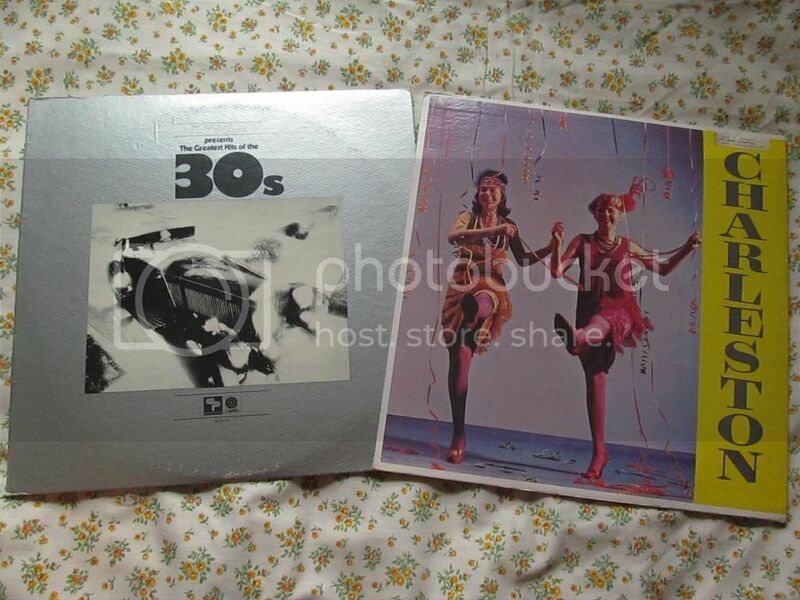 I listen to records on an old Toshiba turntable from the '70s that my grandfather gave me. It's very high quality and it would be hard to find something comparable today without venturing into audiophile territory. If you like Glenn Miller, you should keep an eye out for the Army Air Force Band box set. I think it has his best arrangements. And, yes, Buddy Holly is excellent and criminally underrated. 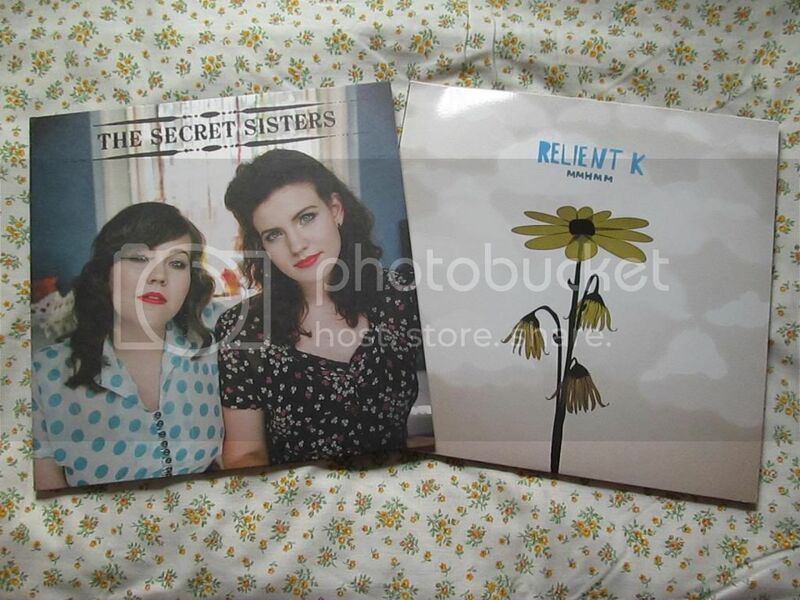 I really like that Relient K album. They are such a unique band. I also enjoy their Christmas album. Nat King Cole's The Christmas Song is my favorite Christmas album! 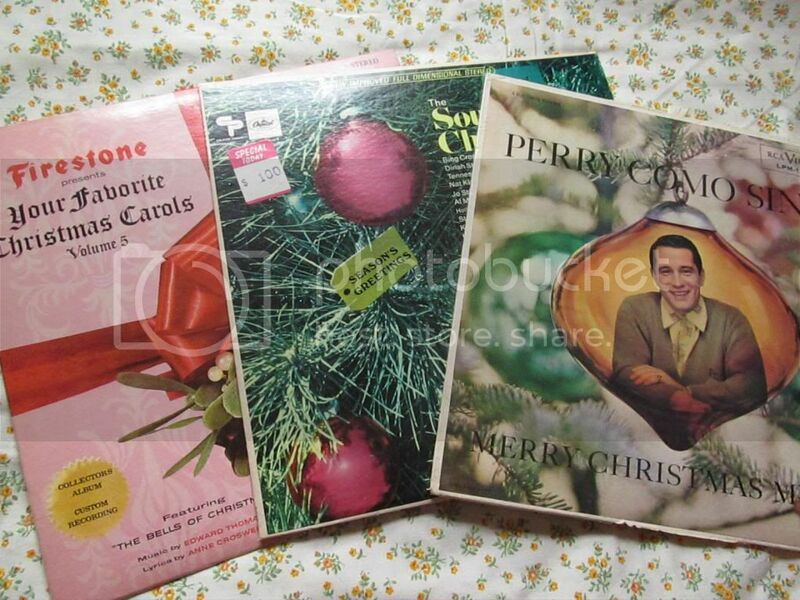 And Perry Como, my mom played his music during the holidays when I was growing up. This is quite a cool collection! My boyfriend is really into music. He has over 700 artists or something crazy like that. So, with all the albums among them, it's pretty incredible to peruse! He only has 1 record that I know of. Layla by Derek and the Dominos. Thanks for sharing! Your vinyl collection looks amazing. 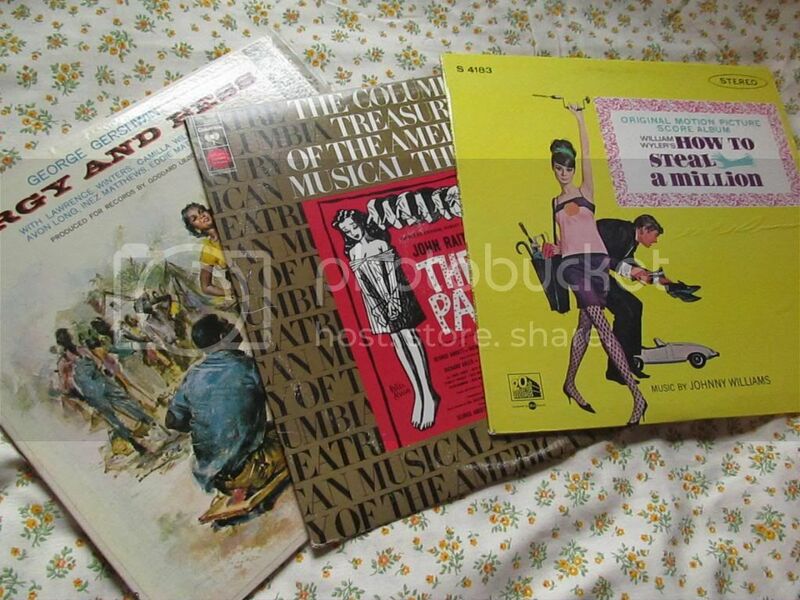 :) I don't own any records, but I LOVE admiring the gorgeous old covers. 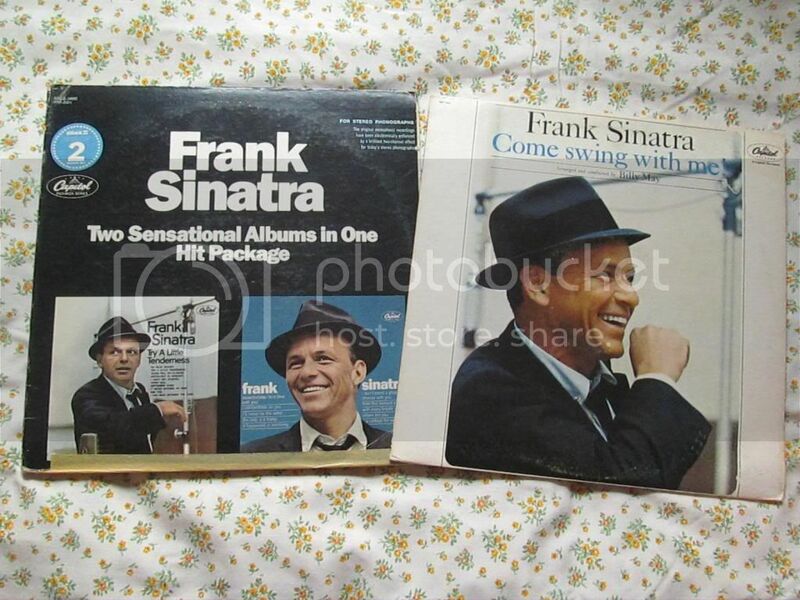 Frank Sinatra's voice *is* glorious. I was happily listening to him last night while making soap and ended up imagining a world without his music - it's a sad thought! Thanks. :) A sad thought, indeed!